The light weight lens/frame combination of the 1200 series Single Lens eyewear provides lightweight eye protection and a universal fit. 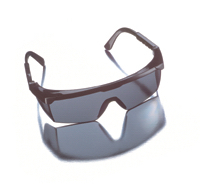 Scratch-resistant coated lens blocks 100% of UV rays. Meets or exceeds ANSI Z87.+ Standard. Durable Nylon universal-fit frame with adjustable click-to fit temples offers solid protection at a great price. 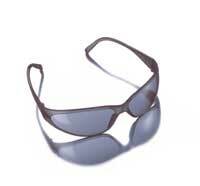 Scratch-resistant lens blocks 100% UV rays and features seamless integrated sideshields. 1200 series Lens eyewear meets or exceeds ANSI Z87.1+ and CSA Z94.3 standards. 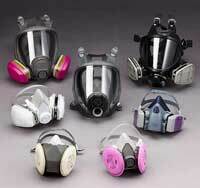 3M 6000 SERIES RESPIRATORS/FULL FACE PIECE. This face piece is light weight and combines with adjustable straps to provide a secure and comfortable fit. Simply clean the respirator between uses. There are no extra parts required to attach filters, cartridges or a dual airline. The large scratch-resistant lens offers excellent visibility. 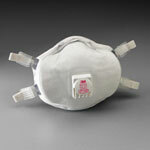 NIOSH approved for negative pressure air purifying and positive pressure dual airline applications. These systems reduce weight without compromising performance. 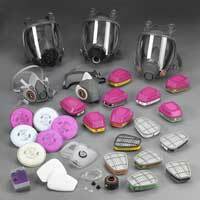 The powered air purifying respirator (PAPR) is ideal for First Responders. This system provides continuous flow of filtered air to the wearer. The hood can be worn with facial hair and glasses and meets military standard MIL-C-51251A for resistance to chemical and biological weapons. The system is NIOSH-approved. 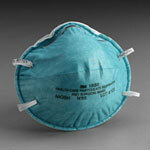 NSN: 4240-01-496-1938 Butyl rubber hood used on 3M Breathe Easy 10 Powered Air Purifying Respirator(PAPR) Systems. Chemical resistant material provides high level of airflow while providing excellent vision and accomodates facial hair and glasses. Belt included. Available with a disposable lithium battery or rechargeable NiCad battery (single or multi station charger sold seperately). Petroflex - PVC-Coated Petroflex gloves are an economical choice for applications where gloves become excessively contaminated or where glove controls are difficult to administer. The rough finish optimizes cut/abrasion resistance and provides excellent wet grip, while an interlock knit cotton lining provides flexibility and launderability. A jersey lining is also available for cushioning and moderate insulation. biceps protection is constructed of durable 1000 denier fabric and provides ballistic protection for the shoulders and upper arms; accepts identification patches. 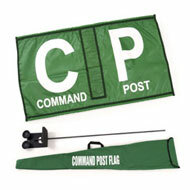 **Special Order item cannot be cancelled** Command Post Flag only measures 18"H x 30"W and is constructed of a heavy-duty nylon. 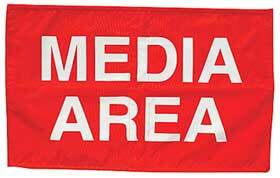 **Special Order item cannot be cancelled** Media Area Flag measures 18"H x 30"W and is constructed of a heavy-duty nylon. 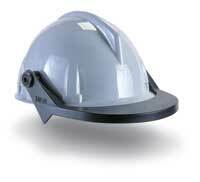 The Defender+ faceshield frame has easy in, easy out visor replacement for quick removal and installation. Snap-in rear muff feature allows for the addition of an optional ear muff. Front-drip-edge with lockdown brim offers splash protection against spills while providing an unlimited number of lift stop positions. Meets ANSI Z87+ Requirements. Visors sold separately. RAD64057528 / 64057528 GLOVE DOUBLE PALM SZ SMALL- XL Double Leather Palm Gloves Two piece leather palm with full leather index finger, fingertips, knuckle strap and pull. Striped canvas back and safety cuff. Gunn cut. Sold per pair. Tychem SL is formed from Tyvek with a layer of Saranex laminated to one side by heat and pressure process. 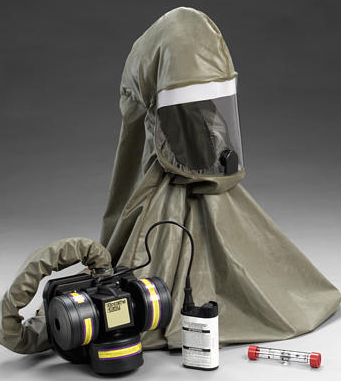 These garments featuring bound construction seams provide superior barrier protection from Hazardous liquids, toxic chemicals and particles in dangerous enviorments. A generous cut provides a comfortable overall fit and freedom of movement. The coverall with hood/elastic has elastic on the wrists and ankles.while the Coverall with Hood/Boot features elastic wrists, attached hood with elastic and attached booties. Booties must be worn inside protective outer footwear. Packaged 12/ case Sold Individually.